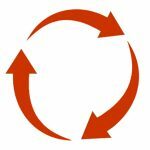 Circular economy – where does that leave LCA? At the end of 2015, the European Commission adopted a Circular Economy Package (European Commission 2015). The intention is to move away from current linear business models (make-use-discard) to a future of circular business models (reduce, reuse, remake, recycle). “Closing the loop” is the objective for the next decades. The concept of a Circular Economy (CE) is that of maintaining the value of products as much as possible within the economic sphere. Therefore, a lot of attention is on the last stages of the economic processes, i.e. the treatment of waste. Re-use and recycling should gradually phase out landfills and incinerators. At the same time, the residues, which inevitably leave the economic sphere, should be harmless for the environment. The implementation of a CE is seen as a challenge that will reshape our economies, affecting positively the entire society, from the economy to the social sphere, from the environment to the human wellbeing. All these objectives can be considered absolutely noble, doubtless. However, some considerations are necessary. First of all, I think we need to focus on the final aims of the new circular economies. Do we want to eliminate the greenhouse gases emissions? Do we want to reduce the use of land? Do we want to reduce the impact on biodiversity? Do we want to phase out poverty? Etc. Then, we have to plan the best way to reach our goals. I’m sure that with adoption of CE principles there would be improvements for the environment and, in general, for the economy with respect to the current situation. Yet, we could put all our attention on some predetermined aspects while excluding some others that could be of equal, or even more, importance. A CE may not necessarily be a dematerialised economy and a focus on recycling may distract from improvements in material efficiency or prevention of by-products generation. Therefore, how sure are we that a CE is the best way to fulfil all our goals? Here the LCA community comes into play. LCA is now a mature tool for analysing the environmental impact of anthropogenic processes. LCA has a wider perspective where all the phases of a product life cycle are scrutinized. Searching for crucial hotspots and the comparison of alternative pathways is the daily job of an LCA practitioner. We therefore welcome the EU Action Plan for the Circular Economy and the political visions for a more sustainable future stipulated in the new EU-legislature. But we encourage the LCA community to contribute to the implementation of CEs, because our knowledge and expertise is needed, now more than ever.